You’ll need to tend your garden regularly, so if possible position it close to the house where you will see it – that way you won’t forget about it and can see what needs doing as it needs doing. Try to site it near a source of water, or install water butts or other means of collecting rainwater close by to make watering quick and easy. Lavish your soil with love. 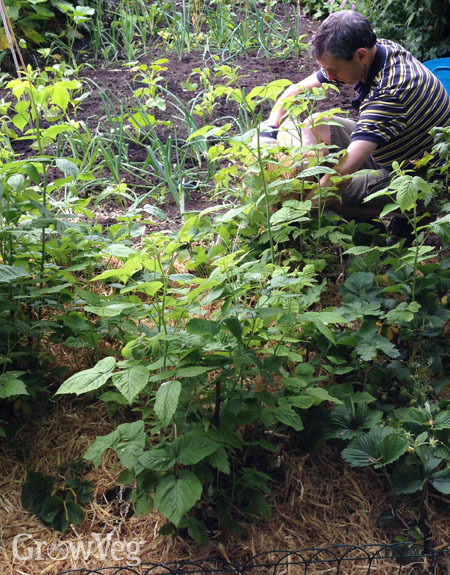 Nourish it with organic matter, including garden compost and manure. Manure must be rotted down for at least six months before applying it because fresh manure contains weed seeds, can harbour disease and may ‘burn’ plants due to its very high nitrogen content. Add organic matter whenever you can and at least once a year. This can be simply laid on the soil surface, as what’s known as a ‘mulch’. Over time your soil’s structure will improve, becoming better draining and a healthier environment for roots. You can add organic fertilisers too of course, but think of these as a short-term boost, rather than building up long-term soil health like organic matter can. 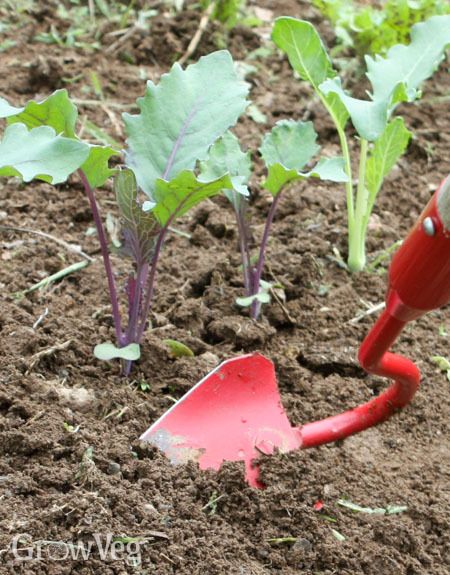 Compost is darker-colored than garden soil, so filling rows with multi-purpose compost after sowing seeds can help you to distinguish your own seedlings from any weeds that emerge. Using a darker-coloured potting soil where you have planted can help you to distinguish your own seedlings from weeds that emerge.